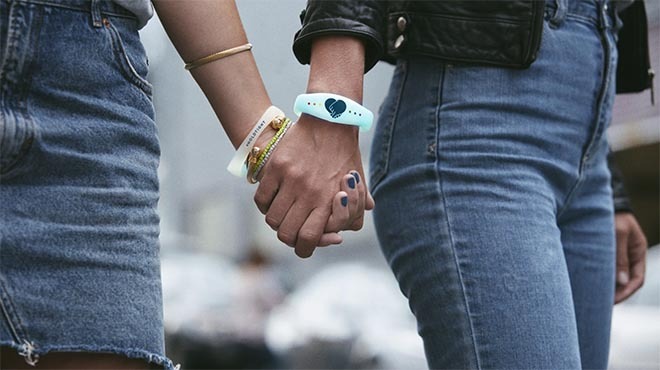 ANZ is expressing support for the LGBTIQ community with “Hold Tight”, a campaign celebrating the power of holding hands. As the LGBTIQ community on both sides of the Tasman get ready to celebrate love at Sydney Gay and Lesbian Mardi Gras (SGLMG) and the Auckland Pride Festival, the majority still struggle with the smallest acts of public affection. The disconnect between perception and reality is saddening. Holding hands is the simplest expression of affection, whether it be a family member, friend, first date or lifelong partner. It’s hard to fathom, in 2017, that not everyone is comfortable with this small but significant gesture. This insight is the inspiration behind ANZ’s latest campaign in support of the LGBTIQ community. #HoldTight aims to highlight this disparity and encourages all people across Australia and New Zealand and beyond to show their support. The ANZ Hold Tight campaign opened in time for Valentine’s Day with a hero piece of film which features couples in everyday situations holding hands in public, accompanied by heartfelt stories told by ANZ staff, and a microsite anz.com/holdtight. As ANZ celebrates eleven years of supporting the SGLMG and eight years of being an active supporter of Big Gay Out and Pride Parade in Auckland, the #HoldTight campaign will be a constant theme over the coming month’s activity. A limited edition, custom wristband will be worn by ANZ marchers at the parades in Australia and New Zealand and exclusively distributed to spectators on the nights. This unique piece of wearable tech uses infrared to detect when two people are close together and lights up when they hold hands. The wristbands will create a spectacle on the night whenever people en masse hold tight. As part of a broader social campaign, in collaboration with Twitter, a custom emoji has been developed and appears when people use the hashtag #HoldTight. Research commissioned by ANZ has revealed in Australia that the LGBTIQ community is three times more likely (52%) than non-LGBTIQ (14%) and in New Zealand more than twice as likely (39%) than non-LGBTI (18%) to have felt uncomfortable performing the most basic gesture of love: holding hands in public. Statistics also show that while the vast majority of Australians (94%) agree that everyone, regardless of their sexual orientation or gender identity, should feel comfortable holding hands in public, less than half of the LGBTIQ community (43%) are truly at ease. Similarly, in New Zealand, (95%) support everyone feeling comfortable with this show of affection, but only (39%) identifying LBGTIQ actually say they feel very comfortable. Terese Casu, Sydney Gay and Lesbian Mardi Gras CEO said: “This highlights the daily pressures that the LGBTIQ community faces. It’s a simple and loving gesture to hold your partner’s hand, however for fear of discrimination, and experiences in violence and abuse – the reality is that many in the community still don’t feel safe. We love the awareness that ANZ is raising about this issue for the community,” said. The ANZ Hold Tight campaign was developed at TBWA\Melbourne by executive creative director Paul Reardon, creative director Tara Ford, creatives Tim Woolford and Scott Canning, and social creative Max Reed, head of broadcast Margot Get, head of integrated production Dave Keating, content director Harrison Webster, content producer Stephanie Leddin, content creator and editor Jesse Richards. FIlming was shot by The Glue Society director Pete Baker via Revolver/Will O’Rourke with executive producer Michael Ritchie, executive producer/head of projects Josh Mullens, producer Jasmin Helliar, director of photography Geoffrey Simpson. Editing was done at The Glue Society Studios by Philip Horn, with colourist Christine Trodd and online editor Lee Sandiford. Sound and music were produced at Level Two Music by composer Michael Edwards. Wristbands were produced at Clear Systems by Tim Boss.